We have an idea... An idea that we can make a difference today and create a better future tomorrow. We have an idea that is truly outside the box. Why not produce material that reduces atmospheric carbon upon creation? Why not produce plastics from the waste we create today? Our idea is not about developing a new material from a traditional source. It's about changing the source of an already accepted, widely used and fundamentally critical material today. ONE - We use plastics in every aspect of our lives. We use them, we recycle some, but most we discard. Plastics are produced from non-renewable petroleum based hydrocarbon at a high cost to the environment due to freshwater water use, pollution and GHG emissions. The demand for plastics is not about to decrease. 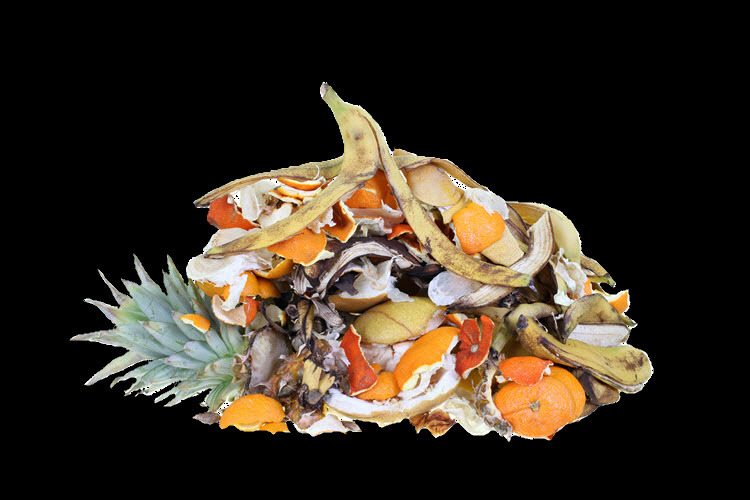 TWO - Discarded food waste is a global problem of enormous magnitude. Roughly one third of the food produced in the world for human consumption every year (approximately 1.3 billion tonnes) get wasted. Food losses and waste amounts to roughly US$ 680 billion in industrialized countries. Organics such as fruits, vegetables, roots and tubers have the highest wastage rates of any food (United Nations). In Canada, the Zero Waste Council is working with all levels of government to promote full elimination of all waste from landfills. Jurisdictions world wide are working towards minimizing and eliminating waste from municipal and regional landfills. A growing group of environmentally conscious consumers is looking for ways to actively participate in reducing their environmental footprint. Currently 14% of US consumers are active participants while an additional 47% are sympathetic to the green economy of the future. These consumers are actively seeking products made without GHG emissions, air pollution and freshwater use. Their desire for personal meaningful action is fueled by the increasing impact of climate change on our society and the growing influence of the environmental movement. Our process will divert and eliminate waste food which will be upcycled to create Carbon-Negative polypropylene and polyethylene. Our Carbon-Negative plastic will sequester GHG entrained in food waste and remove it from the atmospheric cycle, thereby directly contributing to reversing climate change. Our Carbon-Negative plastics are designed to be perpetually re-used and recycled thereby eliminating the waste stream of their lifecycle. Our solution is part of the growing movement towards a circular economy, focused on sustainably and locally made products. The AlwaysBLU process will divert and eliminate food waste from regional and municipal landfills. Our Carbon-negative plastics will sequester GHG entrained in food waste and prevent additional GHG emissions by seamlessly displacing petroleum based plastics in the marketplace. Consumer goods will be will be made locally from our Carbon-Negtive polyethylene and polypropylene supporting the a circular economy. This will give the environmentally conscious consumer an opportunity to be part of a meaningful change for the better by buying goods locally made from our Carbon-Negative material.